It's almost time to say goodbye to another year, but first I thought I'd do a quick look back by reviewing some of the highlights of my "tea year" for 2012. 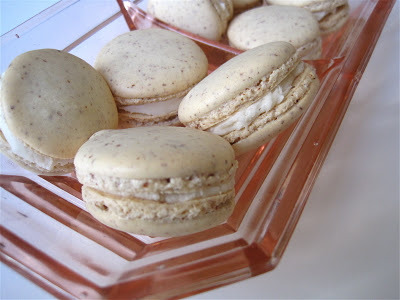 In January, I surprised myself by successfully baking the elegant teatime treat of macarons for the first time! 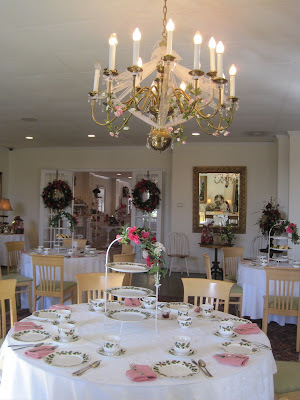 In February, my sweetheart continued his annual tradition of taking me to tea for Valentine's, this year a most memorable visit to Dr. Bombay's Underwater Tea Party in Atlanta. February also saw me hosting my annual week of Valentine's giveaways in honor of Valentine's Day. Over the weekend, I bought the first Valentine's gift for the 2013 giveaways, so stay tuned! 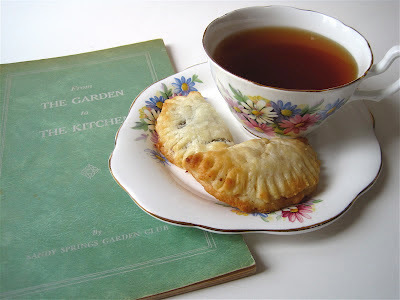 In March, I made the "English Tea Scones" (not traditional scones; recipe here) found in the Sandy Springs Garden Club cookbook I had picked up at an area antique mall. Later I heard from a member of the club, which is now 70-something years old, about how they had been on the lookout for a copy of this book and asking for information on it. I made myself a copy and sent the very gracious club members the original, and was just so happy I could help them "recover" a small bit of their club's history. 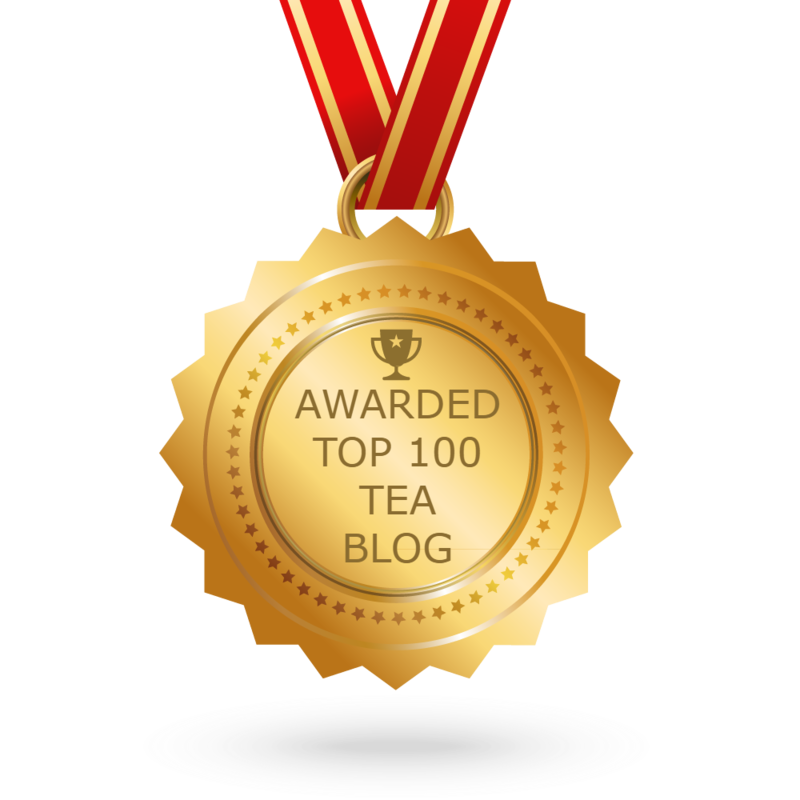 It still amazes me that tea blogs and the internet can make fun things like this possible! 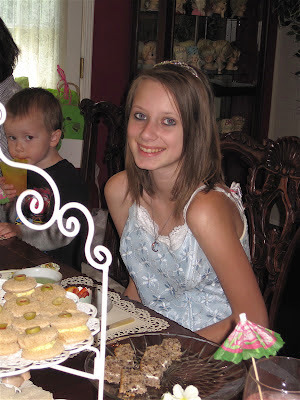 In April, the highlight, easily, was getting to host a birthday tea party for my niece Cari as she turned 13. As a friend pointed out to me, it's not just every teen girl who is still into tea parties, much less letting her middle-aged aunt throw her one for her birthday. A lovely, fun time! 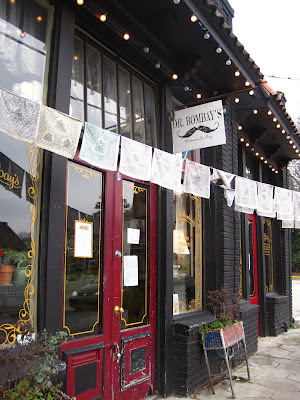 May is my birthday month and almost always includes some tea surprises, but the best "tea gift" of all in May 2012 was getting to finally meet some tea blogger friends face to face in Asheville, N.C.! 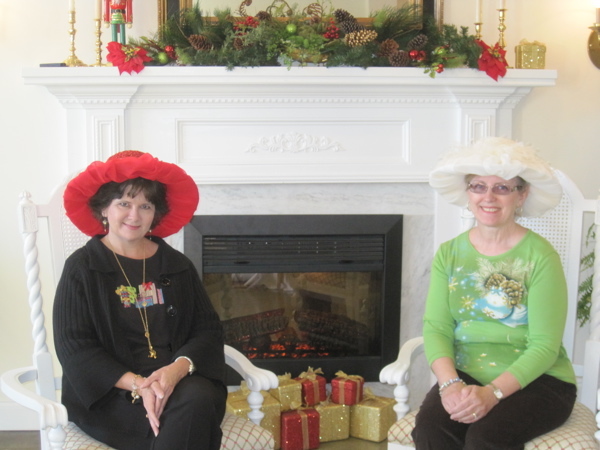 I still have such wonderful memories of meeting Linda, Phyllis, and their non-tea-blogging but tea-loving friends Sandy and Lynn. We were also joined by another Lynn, Asheville resident and tea blogger "Frivolitea," whom I'd had the pleasure of meeting before. Those of us from out-of-state stayed at the Pinecrest Inn, a charming B&B (thanks to our Kentucky friend Linda, planner extraordinaire). 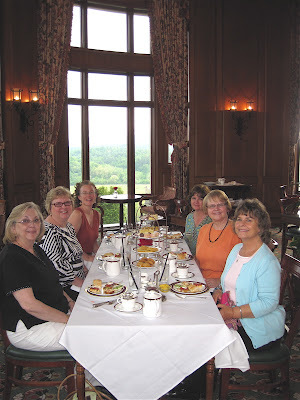 We enjoyed a great time taking tea and even enjoyed a behind-the-scenes tour of Biltmore House. A friend back home asked if I wasn't nervous meeting up with "strangers" like that. You know, after years of our blog friendship, I felt I truly *knew* these women, and it turns out I did! And I am counting on a reunion event, preferably sooner rather than later. Will I get to see them and/or some new tea blogger (or reader) friends in 2013? Oh, I hope so! 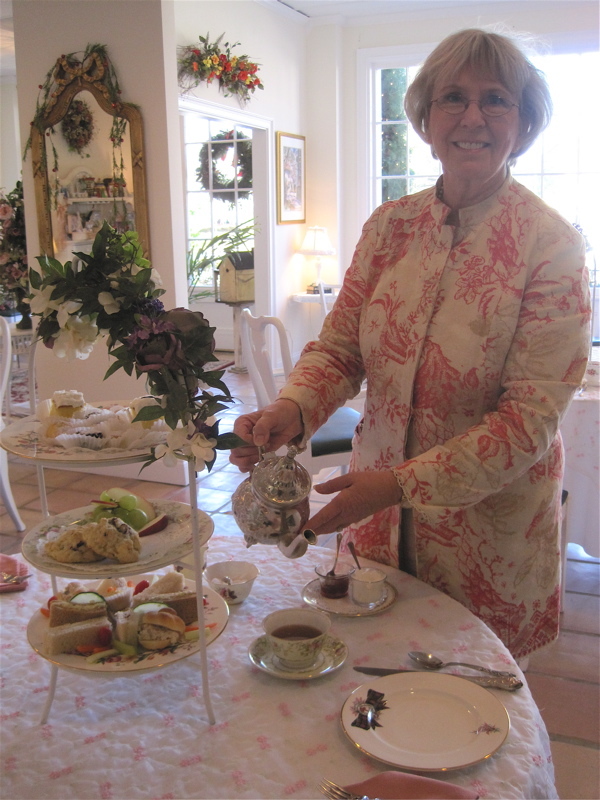 In June, I joined many of you in pulling out some royal teawares and new teas in celebration of Queen Elizabeth's Diamond Jubilee. Wasn't it fun watching all the royal celebrations? 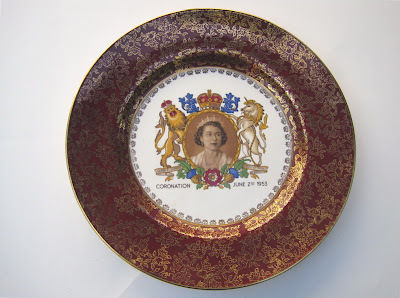 I may not be British, but I certainly join them in saying, "Long live the Queen!" 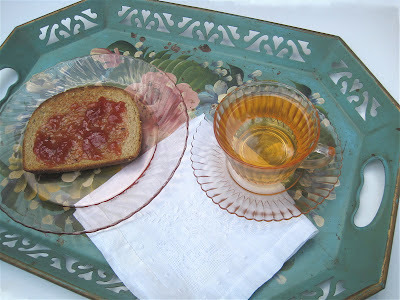 July was a typically hot summer month filled with lots of iced tea, but I also took time for a proper cup of hot tea after my mom found me a pretty vintage tea tray for 50 cents at a yard sale! 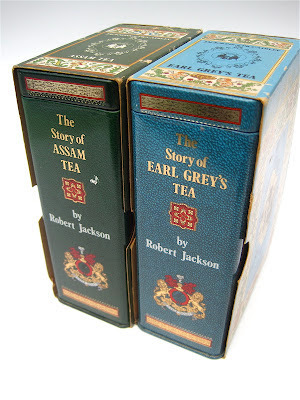 I look for vintage tea goodies all the time, and in September I found one of my best finds ever: this set of old Jackson's of Piccadilly teas in tins designed to look like books. I have these out on a small desk in my crafts room next to a lamp, and I just love knowing these "books" aren't what they appear! 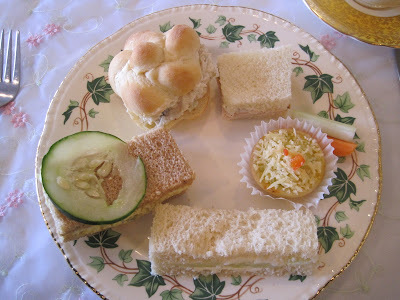 In September, our newly-formed Crossroads Garden Club welcomed fall with a Harvest Tea. Our club has had a lot of fun together this year, and I'm very much looking forward to another great year with these fun and knowledgeable folks! 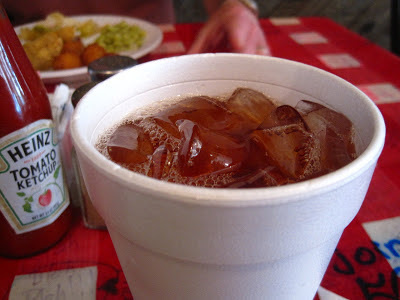 In October, my husband and I traveled to Mississippi for what I called my Mississippi Delta Sweet Tea Tour, since I decided to review the many glasses of sweet tea I enjoyed all along the way. A fun, fun trip! In November, I was all about Thanksgiving, since I got to host the meal this year. 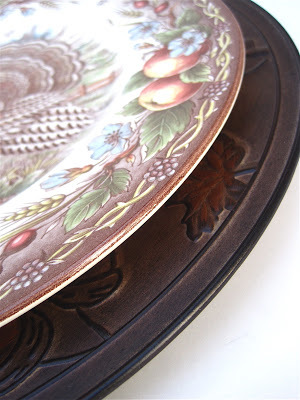 I added some new turkey dinner plates to my stash, these from Royal Stafford with a lovely fruit and flower border. And the tea highlight of December, of course, was visiting the wonderful Madison Tea Room in Madison, Ga. and getting to enjoy tea with my dear friend Maureen! As I look back, I am once again reminded of how very blessed I am. And best of all, I see once again that I remain very, very rich in family and friends! 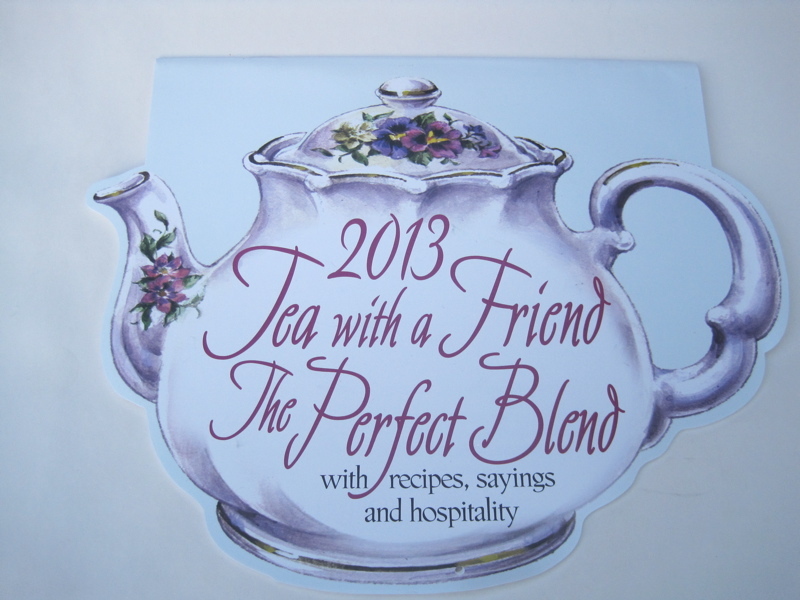 Thank you, dear readers, for being "tea friends" with me in 2012, and I'm counting on us all having a great 2013 as well! 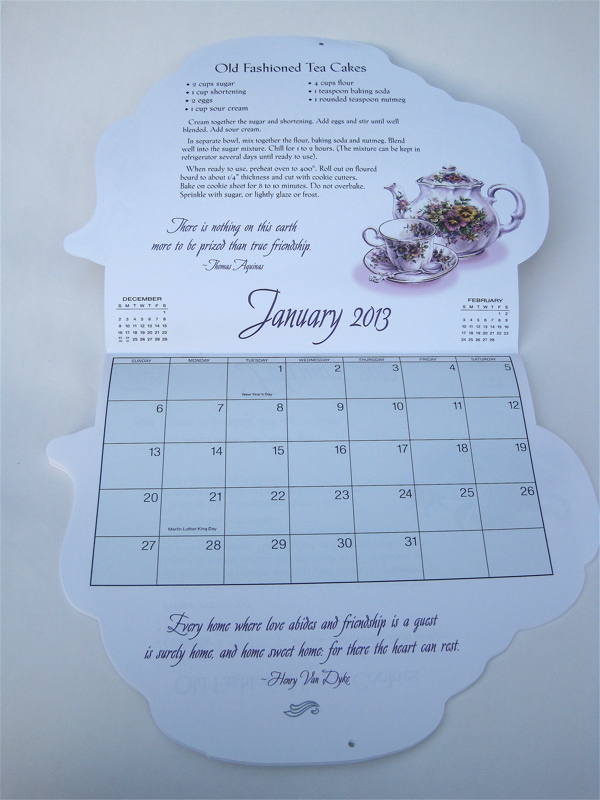 The winner of the 2013 calendar from last week is Jackie C., who says she thinks of this blog every time she sees something with teapots on it, so congrats! If you'll send me your snail mail address via the e-mail button at right, I'll get this headed your way. 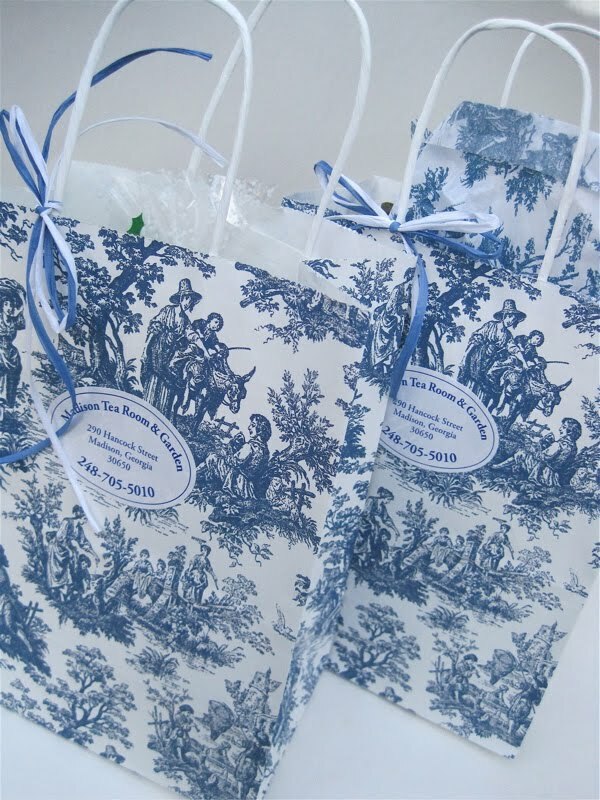 And now, can you believe we've reached the end of the year and the last giveaway for 2012? It seems appropriate to end a year of tea giveaways with a gift of tea, so I decided to let the winner select which tea she (or he) wishes to receive. Here I show web pages for some of my favorite tea suppliers, including Upton Tea Imports, Twinings, Harney & Sons, Adagio and a 2012 discovery I really enjoyed, Capital Teas. 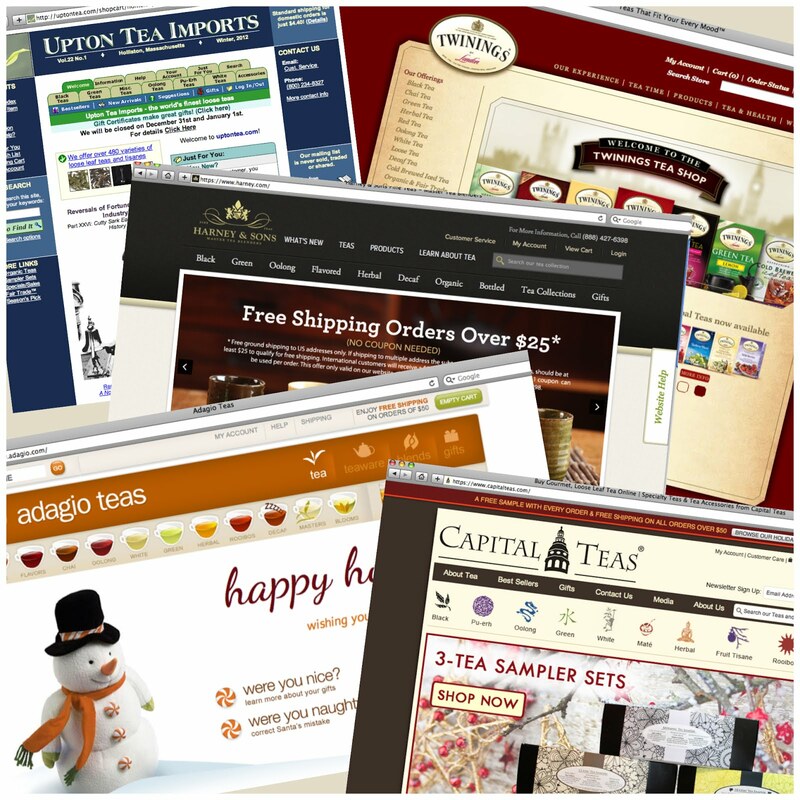 Of course I'll be happy to order the winner a gift certificate from any U.S. tea company you like, you'll just need to tell me which company, since I discovered, for instance, that Stash Tea does not offer gift certificates. As we end this year of giveaways, I'd also like to say a huge THANK YOU to everyone for making this such a fun Saturday project for me in 2012! I've gotten so many nice thank-you notes in the mail and by e-mail, along with heaps of kind comments (and even some gifts!) thanking me for my "generosity." I must tell you I'm not really that generous, but I'm sure trying to be! The Bible tells us that Jesus said, "It is more blessed to give than to receive" (Acts 20:35). 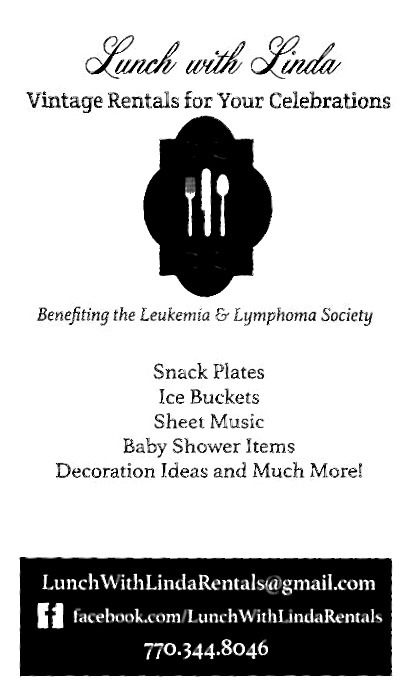 I can't help believing that my year of giving is one reason I have been so very blessed this year! 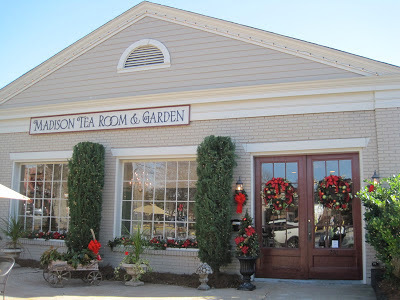 Now, to enter this final giveaway of 2012, just leave a comment with the name of the tea company from which you'd like to receive your $25 gift certificate. 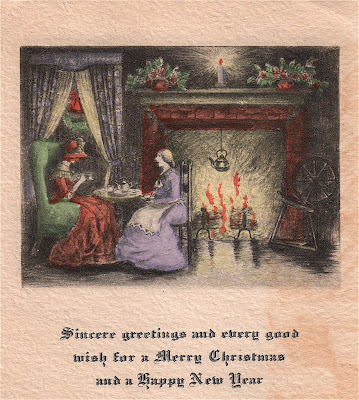 I believe most of them can deliver them electronically, so please enter by midnight EST New Year's Eve, and on New Year's Day you just may get notified that you're kicking off the new year with a gift of tea! Good luck! Months ago, I saw a magazine advertisement offering to send readers three free samples of Twinings teas. The fun part was, you got to select the specific ones you wished to try, so I e-mailed my choices and promptly forgot about it. 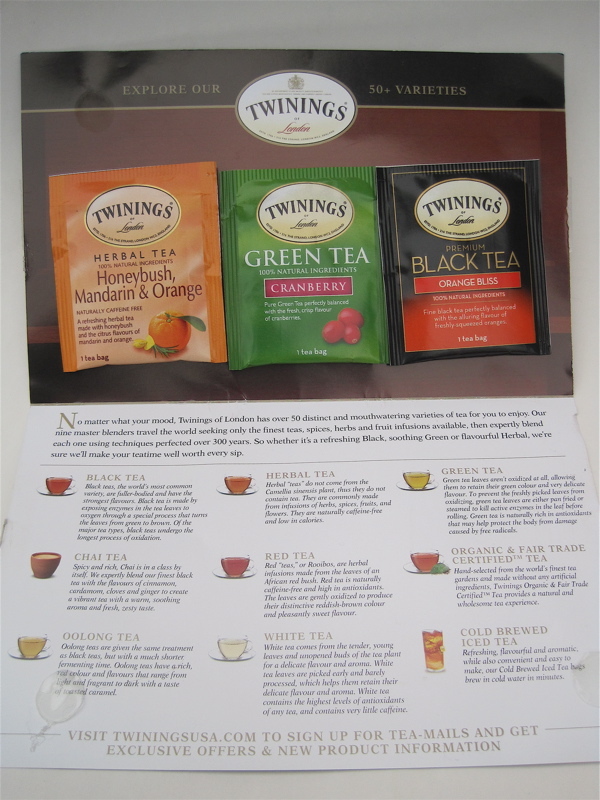 Until this great flyer arrived in my mailbox the other day with three Twinings teabags tucked inside! 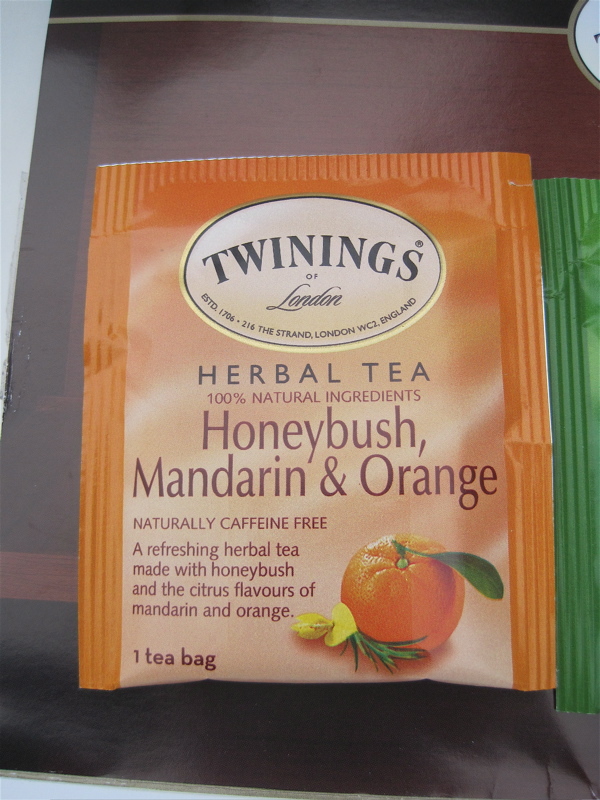 I opted for an herbal tea, a green tea and a black tea. First was this Honeybush, Mandarin and Orange tea. It had a wonderful citrusy scent and a taste to match. Loved it! 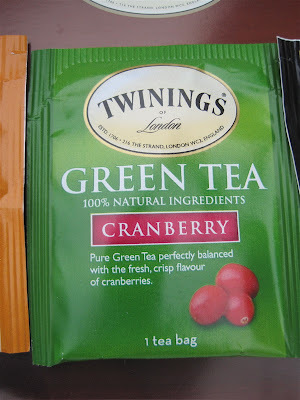 I've tried lots of cranberry flavored teas but never, to my recollection, a cranberry flavored *green* tea. This one was a real winner, with an almost creamy taste and none of the "grassyness" you sometimes experience in greens. 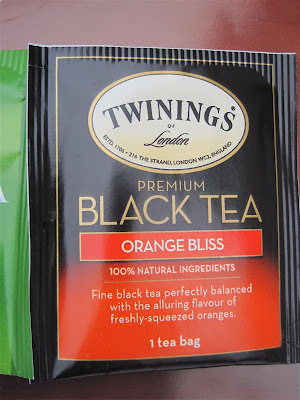 Finally, the tea I was most eager to try was this orange flavored black tea, Orange Bliss. Now back when I was a tea newbie, I used to wonder why I could never taste the orange in my "orange pekoe." Of course I soon learned that "orange pekoe" referred to a grade of tea and not a flavor. But I do love oranges—and have eaten quite a few of them while grating zest for Christmas recipes—and this tea did not disappoint! The black tea was a nice brisk one, with very little astringency, and I could indeed taste the orange. 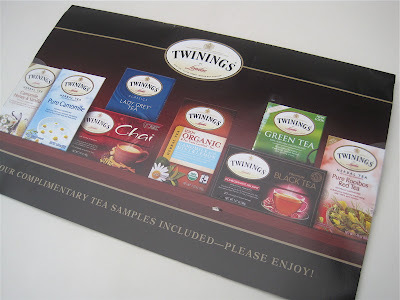 It appears that Twinings is upping its offerings in this country, and as a longtime fan of their teas I couldn't be more pleased! While in Atlanta last week, my husband and I made our now-traditional pre-Christmas run to Whole Foods, and as usual I came across quite a few new teas. 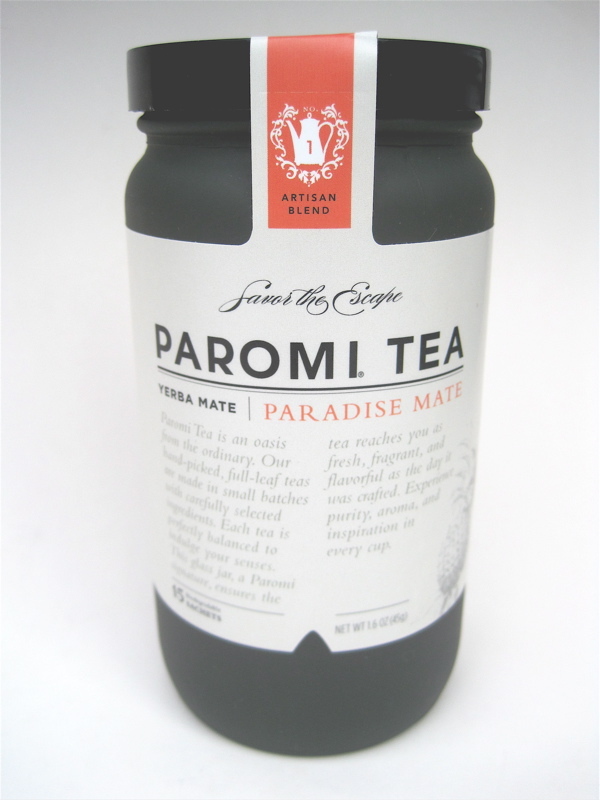 This one, from Paromi Tea, was especially intriguing to me because it was packaged in a glass jar! 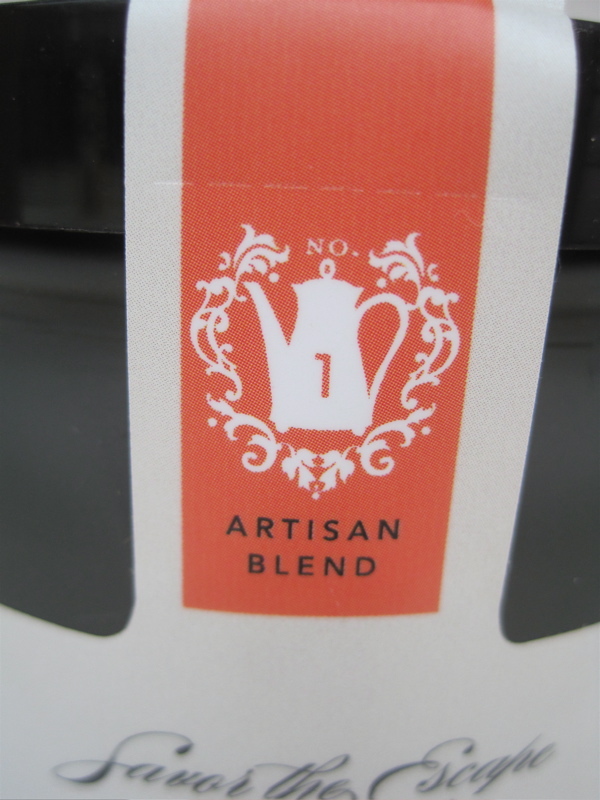 Each blend features a different graphic on the label. A nice touch! The pyramid shaped, biodegradable teabags of this Paradise Maté were so pretty! The blend contains yerba mate, rooibos, apple, lemongrass, carrot, candied papaya, cornflower blossom, sunflower blossom, natural essence pineapple and papaya essence. Aside from being attractive in the teabag, this blend also had a pleasing fruity scent and a great, warming citrusy taste. 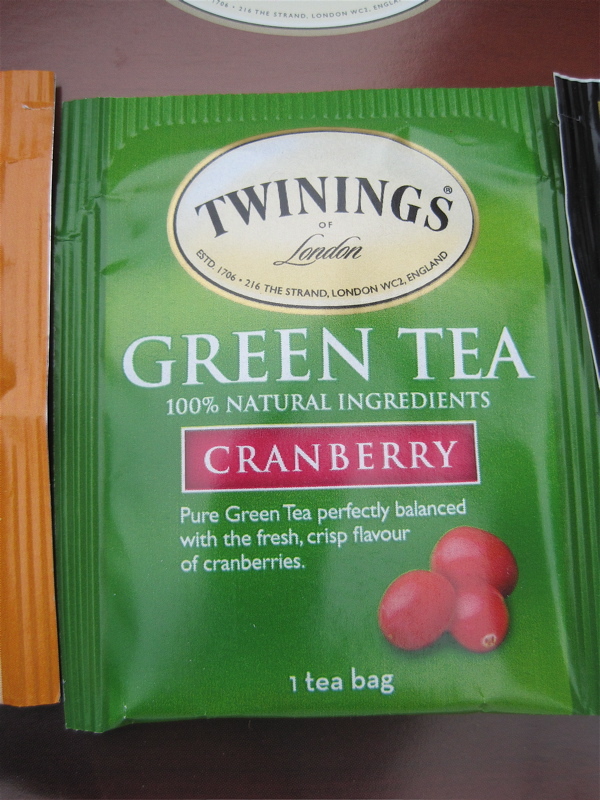 It was a nice change from the mint and spice flavored teas I've indulged in all Christmas. 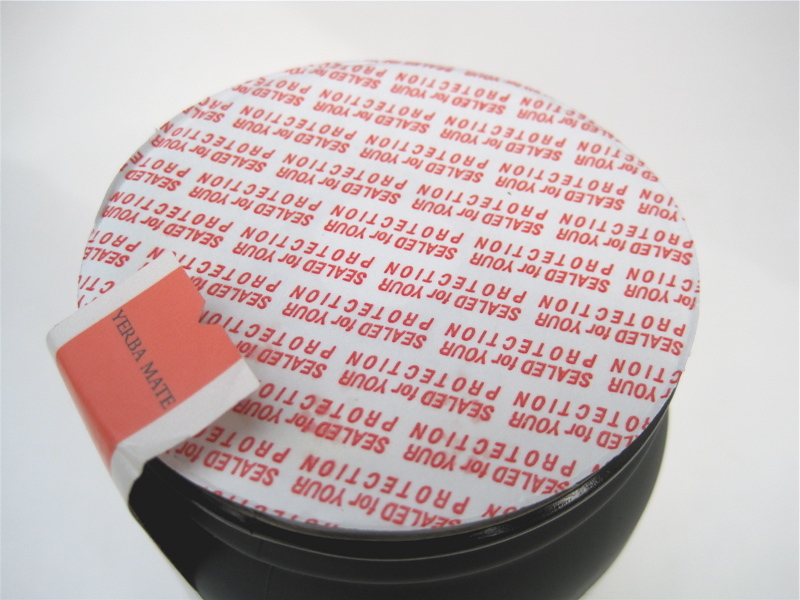 The only thing that really surprised me about Paromi Tea was that I'd never heard of this company before! Have you? 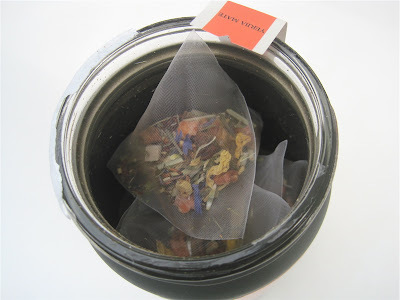 If you'd like to see their other teas, visit their website here. 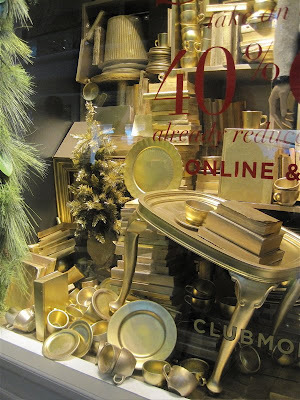 Some of the Christmas hours I like best are the quiet ones just before and after the big celebrations. In my own quiet hours this week, I actually read a whole book in two days, and it was so utterly charming I just have to tell you about it. 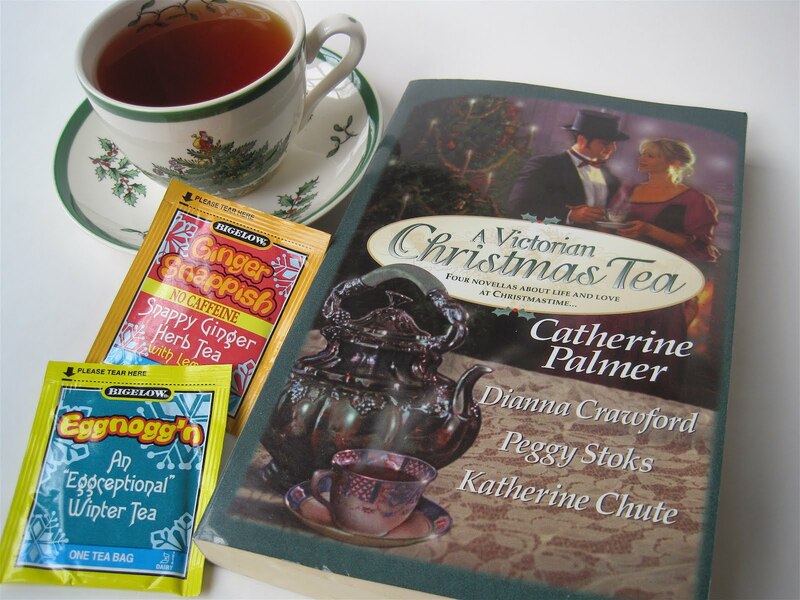 It's the 1997 book "A Victorian Christmas Tea," four novellas about Christmas, all with a teatime plotline somewhere in the mix, and the authors are Catherine Palmer, Dianna Crawford, Peggy Stoks and Katherine Chute. I had saved two of my "12 Days of Christmas" teas from Janet in Texas just for this time, and I thoroughly enjoyed Bigelow's Gingersnappish and Eggnogg'n. (I've never had eggnog, because it just doesn't appeal to me, but I absolutely adored this tea!) And the book itself was such a sweet treat! These four inspirational romances are set in the mountains of New Mexico, a stormy New England coast, rural Minnesota, and a Louisiana plantation, all at Christmas, all with budding romances promising to unfold. It was such a lovely time back when ladies and gentlemen were courted and gave such care to that all-important decision of choosing a life's mate. 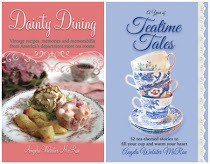 I ended each of these tender stories heartened—and wanting a cup of their story's tea. Each tale also concludes with one special recipe from the plot, so that was a treat as well, but mostly I just enjoyed reading uplifting fiction with a Christmas theme at Christmas. 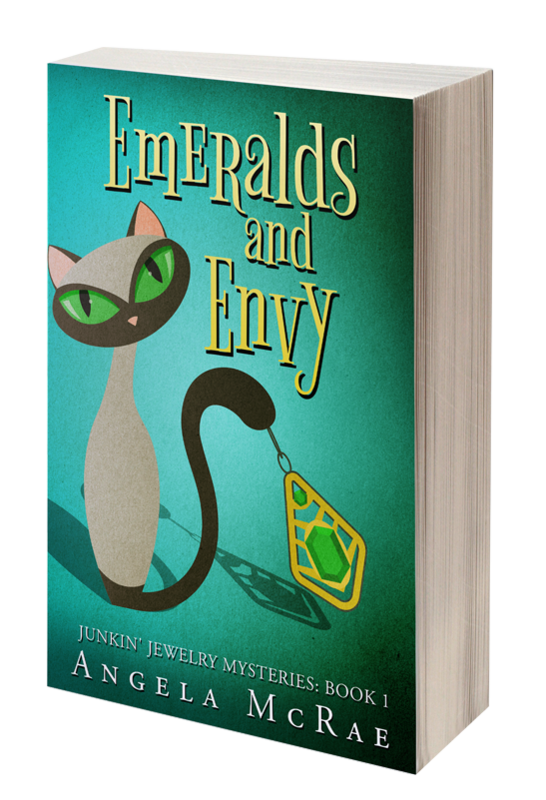 If you haven't read this book, I'd suggest you get a copy now—or at least put it on your reading list for next year! 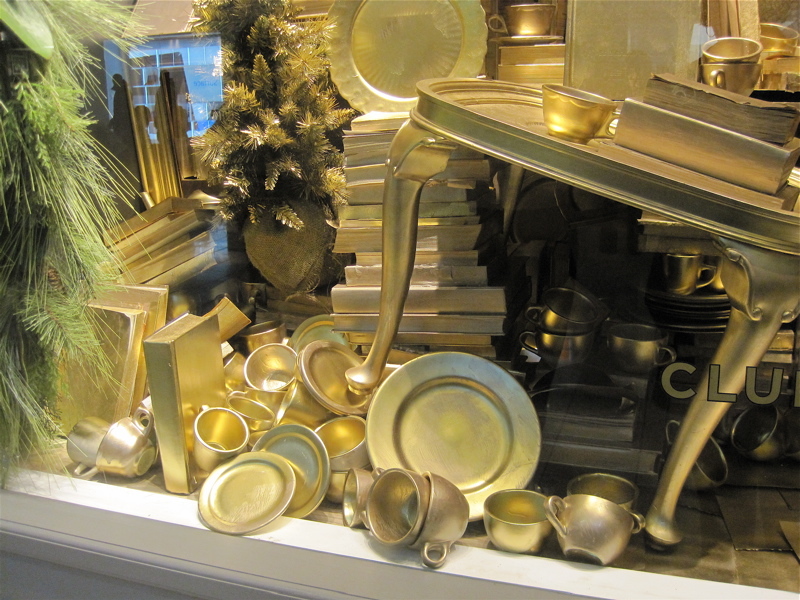 On Friday afternoon, my husband and I were at Lenox Mall in Atlanta doing some last-minute shopping when I saw a couple of retail displays I thought you might enjoy. 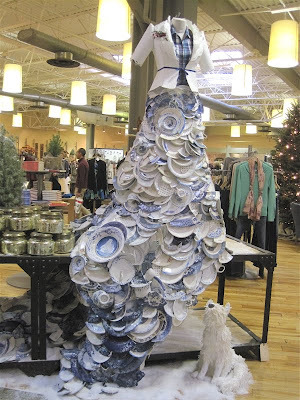 This one is the "Christmas gown" of my dreams—or any tea lover's dreams! And here's a close-up of the bodice. 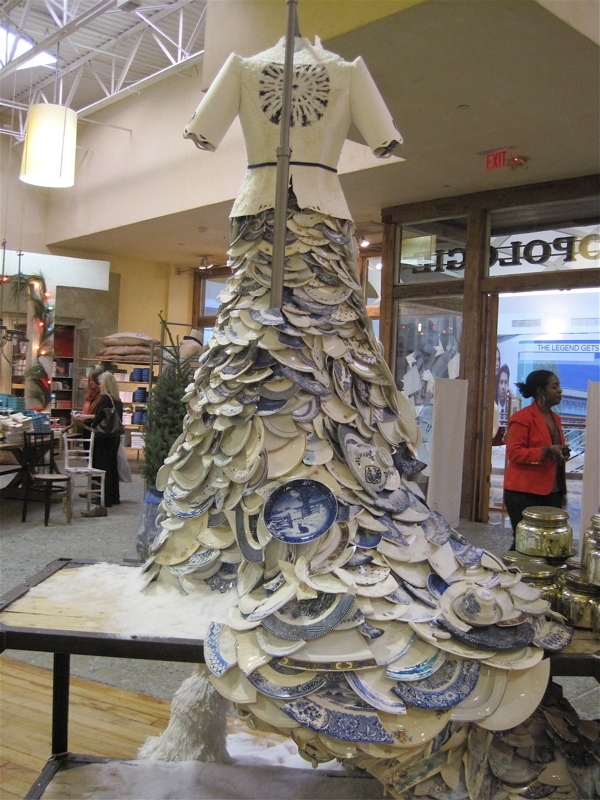 Crafted from actual cups, saucers and plates, this flowing gown comes courtesy of Anthropologie, which always has the most clever retail displays! 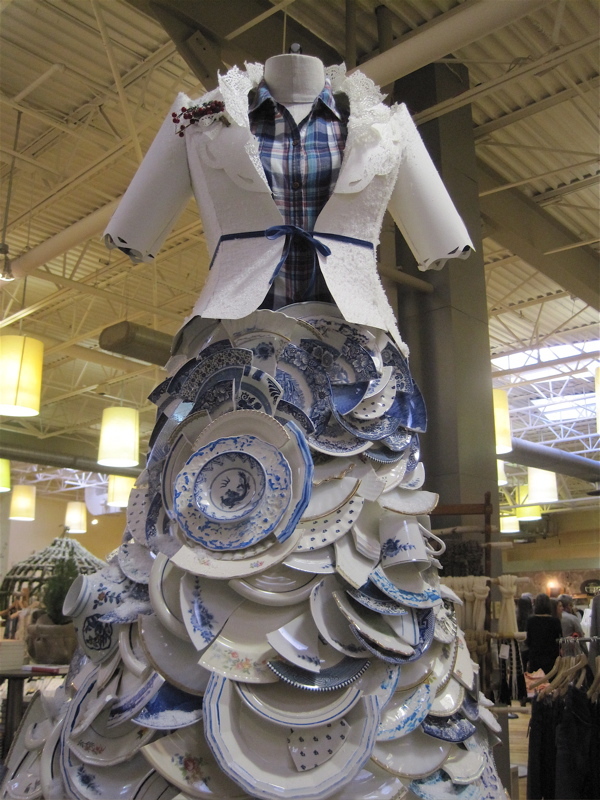 I could have looked at this for hours—if my man hadn't been waiting back at the food court! And here's a parting shot of the back of the "gown." 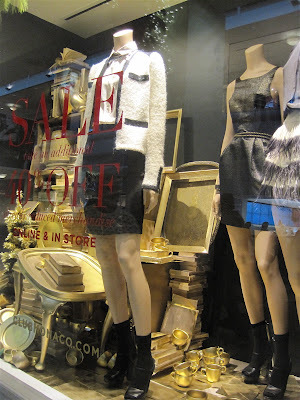 Later, as we were leaving the mall, I saw yet another teatime display in the window at Club Monaco. Naturally, this caught my eye as well. Very clever, spraypainting this topsy-turvy teatime display all gold. Cups, saucers, table, books, everything … how very festive! With a new year just around the corner, it seemed appropriate to offer a tea-themed calendar for 2013 as one of my last giveaways of the year! I ordered one for myself and an extra for one of you here (and it was still on sale last I checked). If you'd like to win, just leave a comment to this post between now and noon EST on Friday, Dec. 28. Good luck! 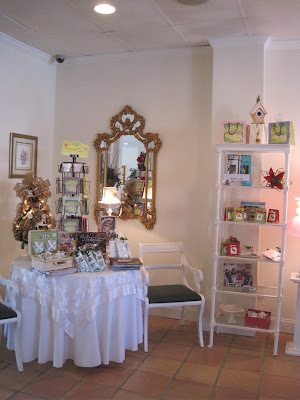 Half the fun of going to a new tea room, to me, is checking out their gift shop, and I loved seeing the pretty things for sale at the Madison Tea Room & Garden yesterday. I especially liked how the white furniture was used in their display of books, teawares, cute packaged teas, teaspoons and more. It just seemed to show everything off really nicely! So what did I buy? 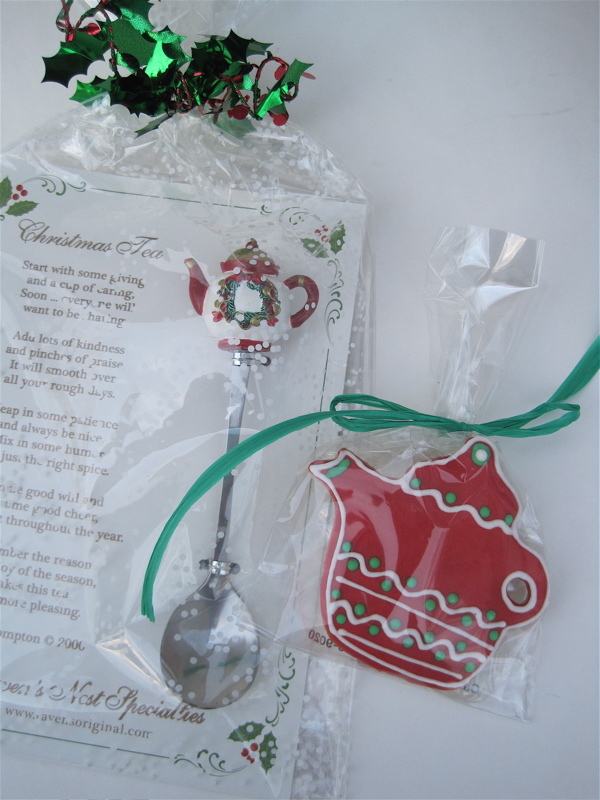 For Deberah, I got one of their gorgeous teapot cookies (which I aspire to make myself one day), as well as a cute little package containing a pretty Christmas teaspoon and a few teabags tucked inside. 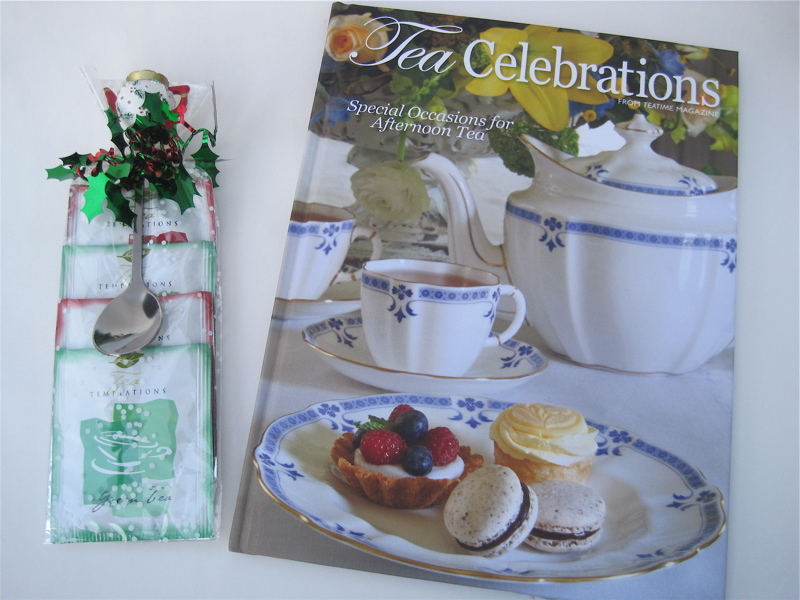 And for myself, I also got a Christmas teaspoon and my usual souvenir of a visit anywhere, a new book! I had actually missed seeing this one, but Maureen, bless her, had picked up one for herself and made sure I saw it before we left. I know many of you have been recommending this book, and it had been on my wish list for a while. 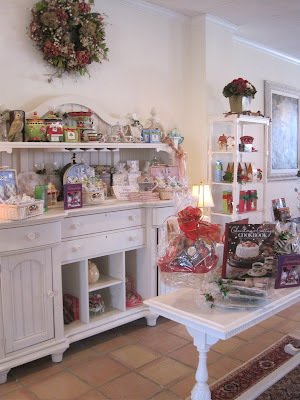 Fun finds and a great tea room--and gift shop! So many tea rooms have closed in recent years that I was quite thrilled to learn of this one when I saw the ad in Tea Time magazine. When Maureen agreed to meet me there (it's a bit closer for her), I was so happy. And here we are at the tea room! 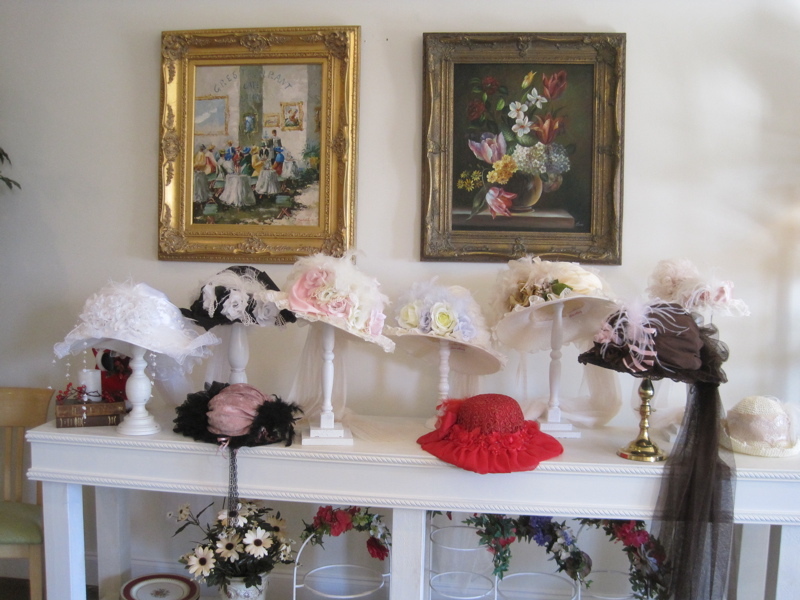 The hats are courtesy of the Madison Tea Room, which has lots of gorgeous ones you are encouraged to try on for photographs. Maureen and I had made the earliest reservations for tea, and since we arrived first it was nice to be able to flit around a bit and check out this gorgeous tea room! 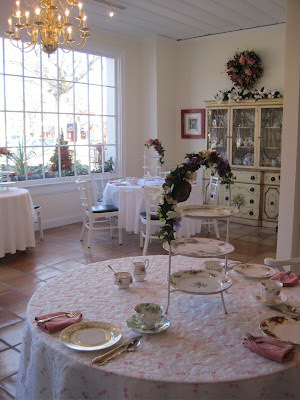 I am very drawn to light, and the pretty white furnishings, tablecloths, and natural light on a sunny (and 67-degree!) day were just wonderful. 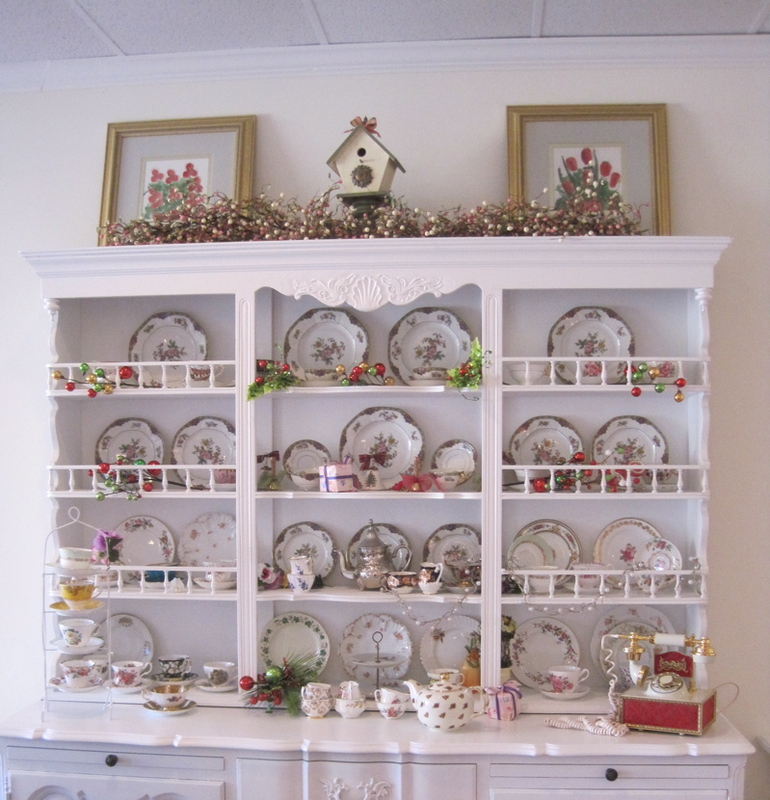 The decor at this tearoom was an early indication that this place would be a class act. 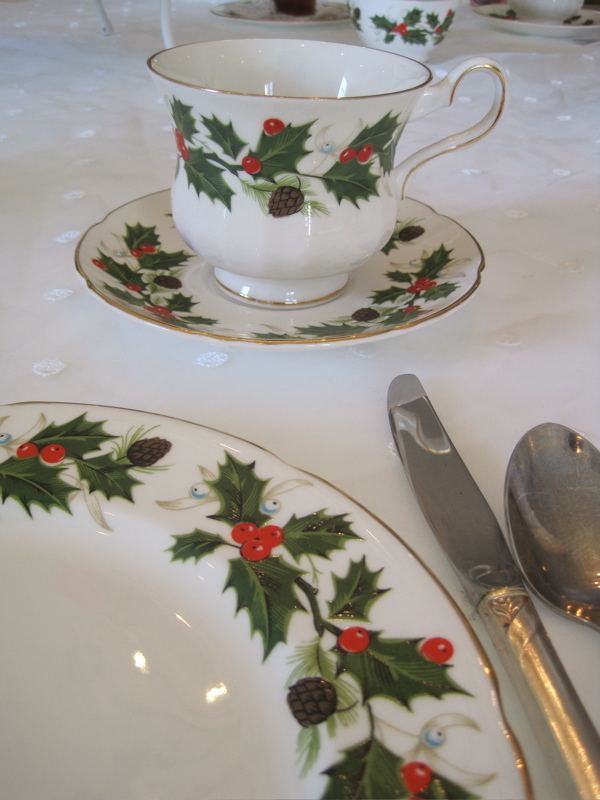 The teacups, by the way, are for sale if you happen to want one you see or use! And since several of us have Christmas teacups featuring this pattern, I thought you'd enjoy seeing these being used in Madison. But enough of that, you're wondering what we had to eat, right? 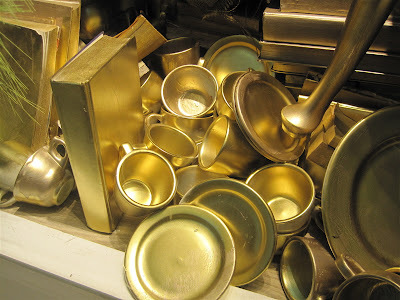 Well, here are the savories! 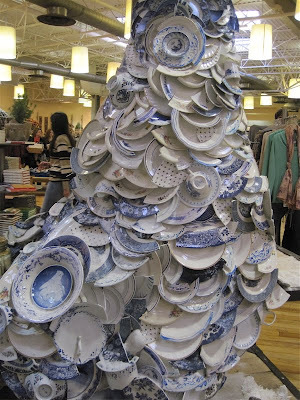 Maureen "styled" her plate of savories, so I did the same. 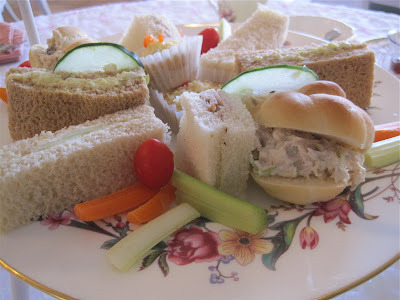 From top, clockwise, are chicken salad and turkey tea sandwiches, a mini-quiche, and cucumber and then egg salad tea sandwiches. The mini-quiche was my favorite of the savories, I think, but everything was good and very fresh-tasting. Our scones were cranberry scones, and they were quite good. Very light, fresh and fruity. 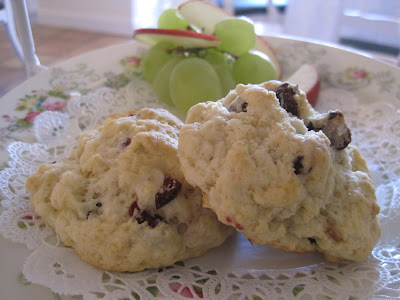 Good scones = good tea experience in my book! Oh, and speaking of tea, here's the friendly proprietress, Kathi, pouring some of the "house blend" of tea, which was a currant-flavored black tea. 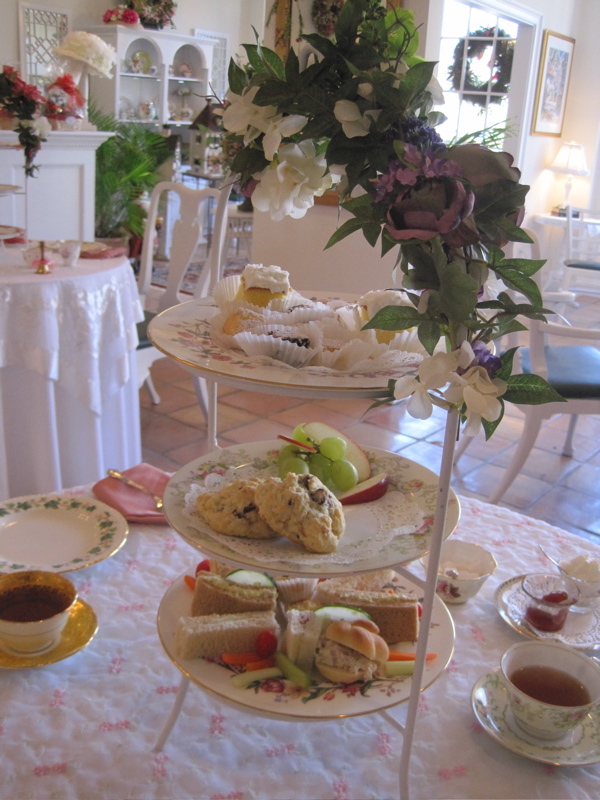 Guests are encouraged to try it, but other teas are available for those who prefer something else. 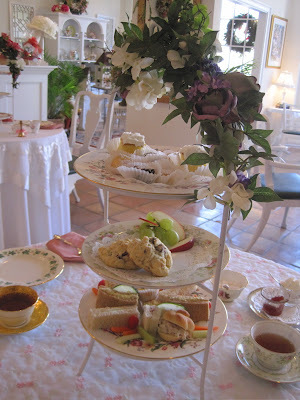 Maureen and I both liked the currant tea and sipped lots of it, because our server did a great job of keeping our cups topped off with tea. 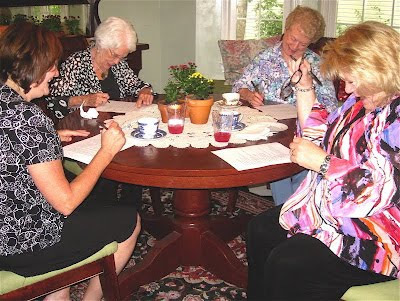 As a result we got to enjoy lots of "catching up" during the course of our teatime. And the sweets? 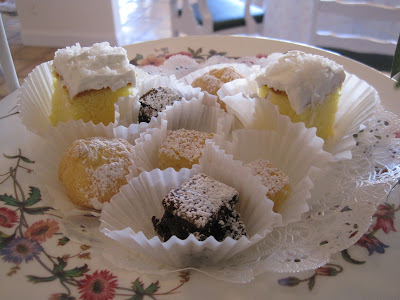 Well, I was running out of room for them (despite having skipped breakfast), but I did my best to eat the cream puff, lemon bar, brownie bite and a super light and moist cake topped with a fluffy white frosting dusted with coconut. 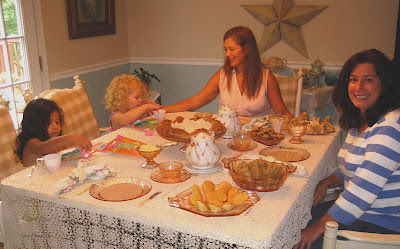 I managed to eat at least some of everything--all delicious! I definitely recommend tea at the Madison Tea Room, and the $16.95 price was a good value. Tomorrow: The Madison Tea Room's gift shop and what I came home with! "Betty Blythe Style Me Vintage Tea Parties"
A great tea gift idea for next year! The tea tree goes up!